Welcome to my visual diary of the beautiful birds I photographed during the Fall months. Week one started off with photographing several migratory warblers, which made me happy! 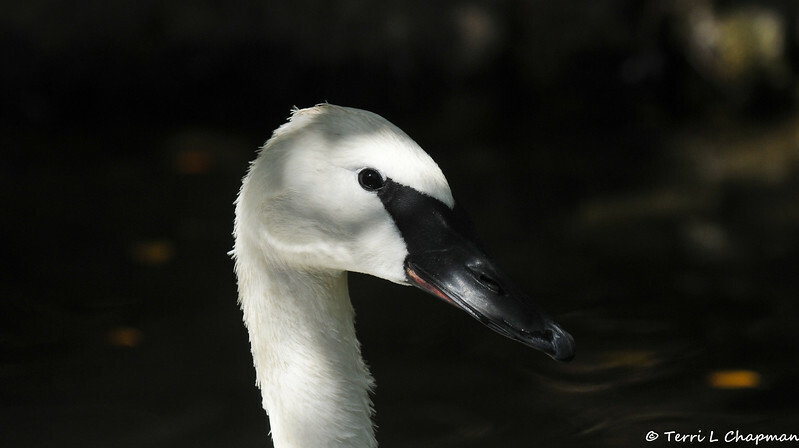 A close up image of a male Trumpeter Swan. One of seven swan species, the trumpeter is the world’s largest waterfowl with a wingspan of roughly 6.5 feet and a weight of up to 25 pounds. It flies with extraordinary power, but due to its weight, is unable to launch directly from the water. The swan must paddle along the surface about 18 feet before taking off.